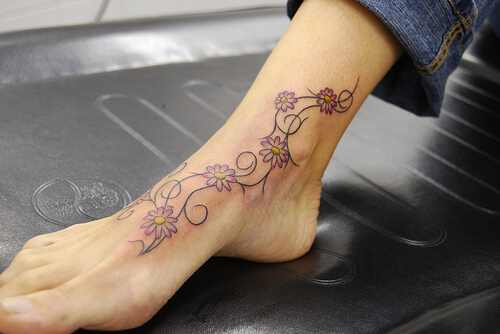 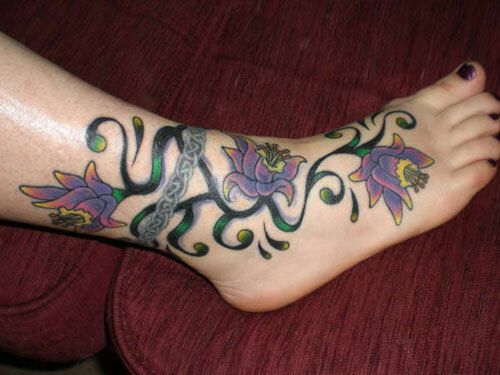 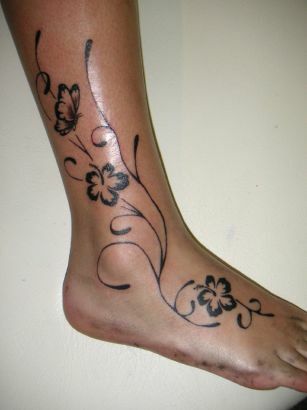 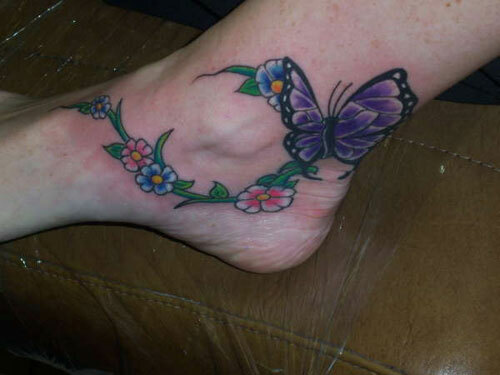 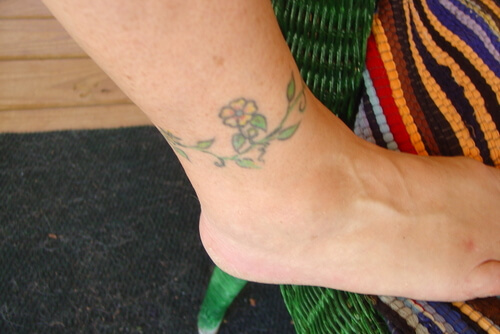 Ankle tattoo designs are easy to hide, all you have to do is were some long boots, long socks will do the job also. 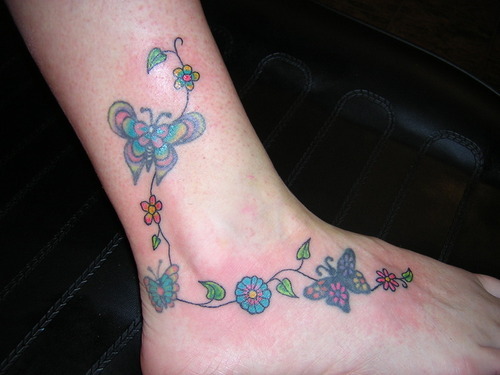 Here is a gallery about flower designs. 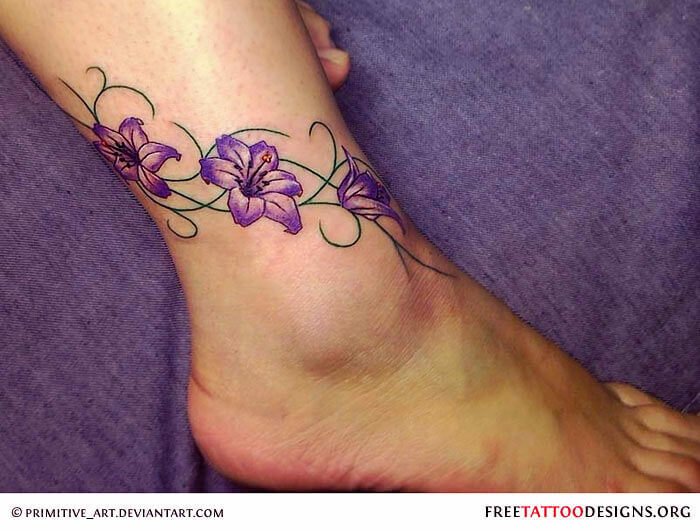 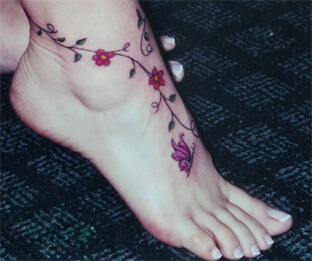 Tattoos of flowers (floral tattoos) and plants can be done simply because they are beautiful designs. 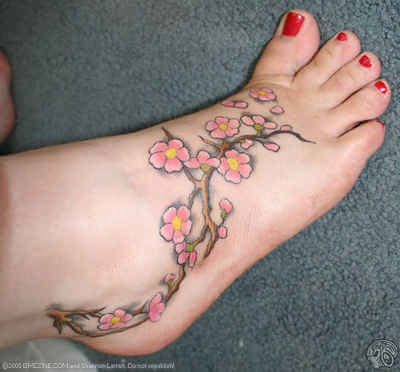 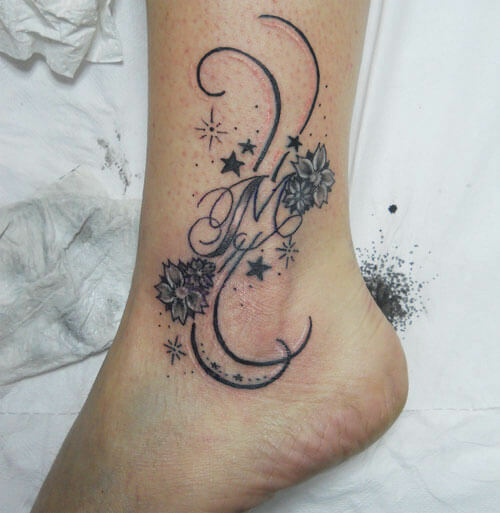 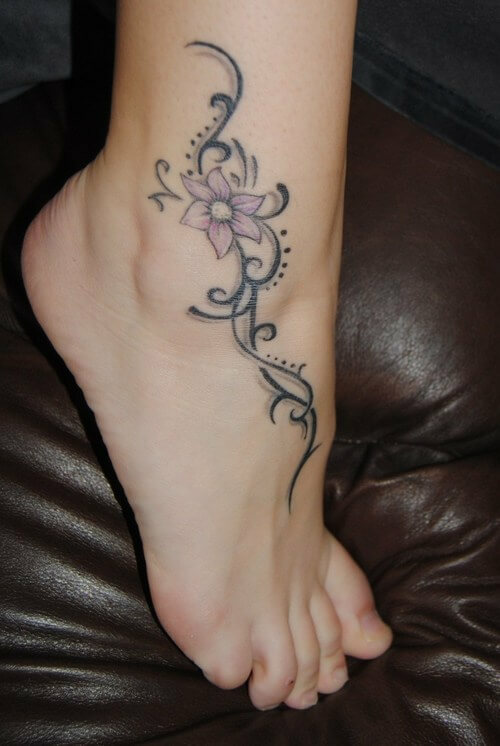 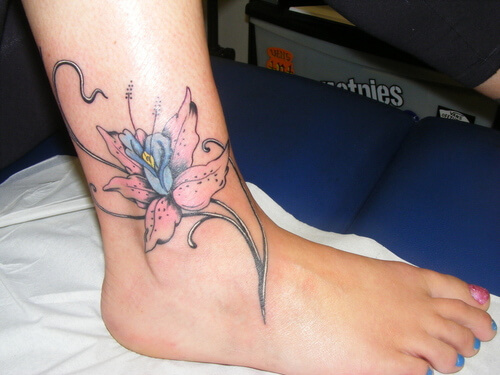 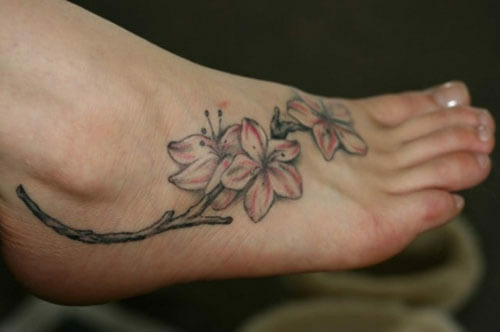 But flowers can also carry a lot of symbolism to the person who chooses a flower tattoo. 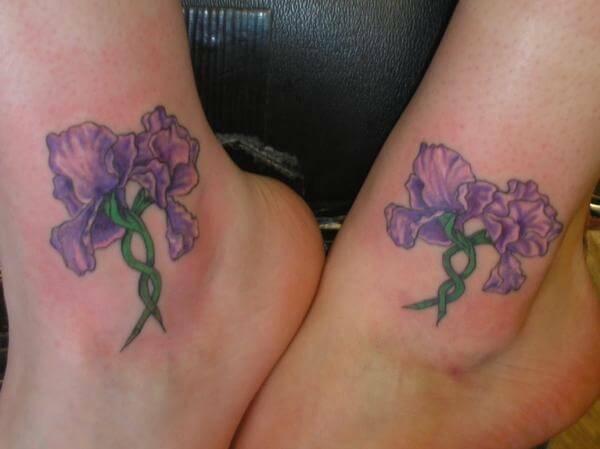 Even the color of the flower can hold special meaning. 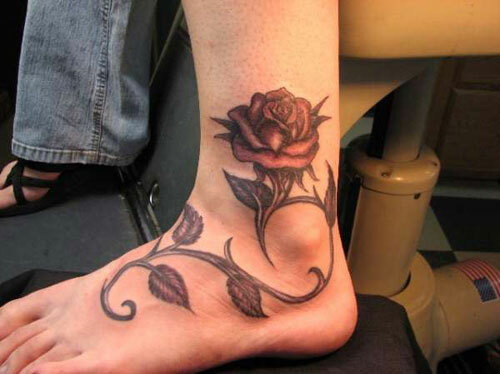 For example, a red rose would express true love and devotion, while a yellow rose symbolizes friendship. 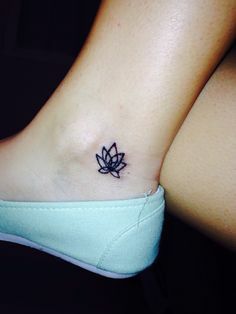 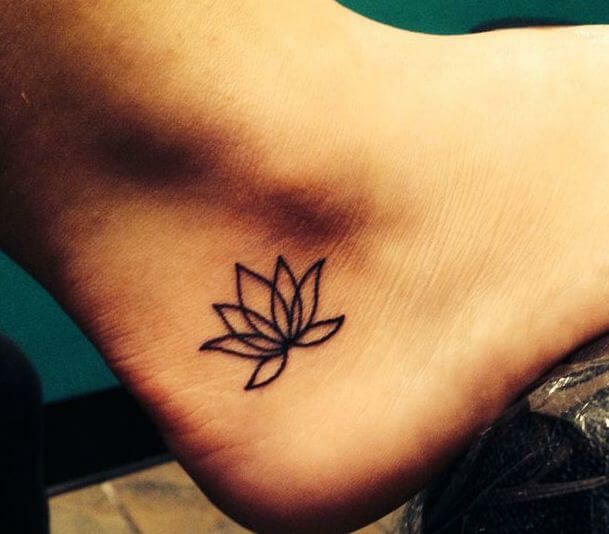 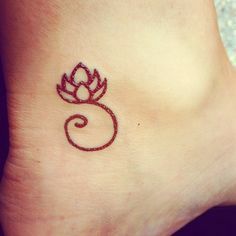 Lotus flower tattoos are very popular in Asia.